This Christmas there will be two festive family tours on Saturdays 10th and 17th December at 1.30pm. 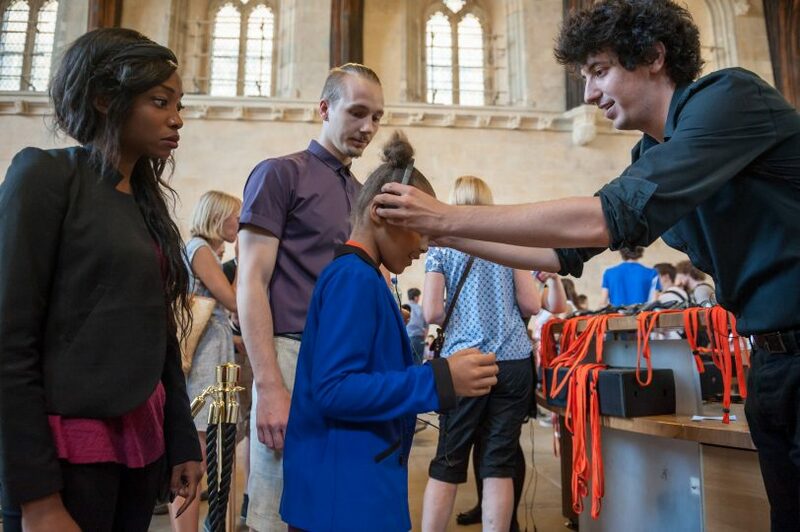 Discover more about Christmas beneath the shade of Parliament’s magnificent Christmas tree. 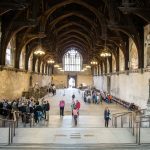 Hear tales of Oliver Cromwell and learn how Queen Victoria and Prince Albert helped shape the festive season we know today. 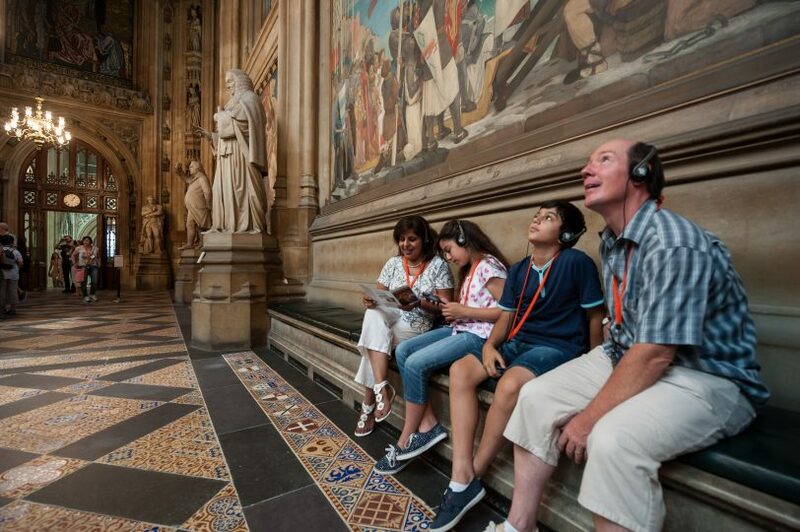 The Houses of Parliament have developed audio tours that help bring to life the history, architecture and artworks of the House of Commons and the House of Lords. 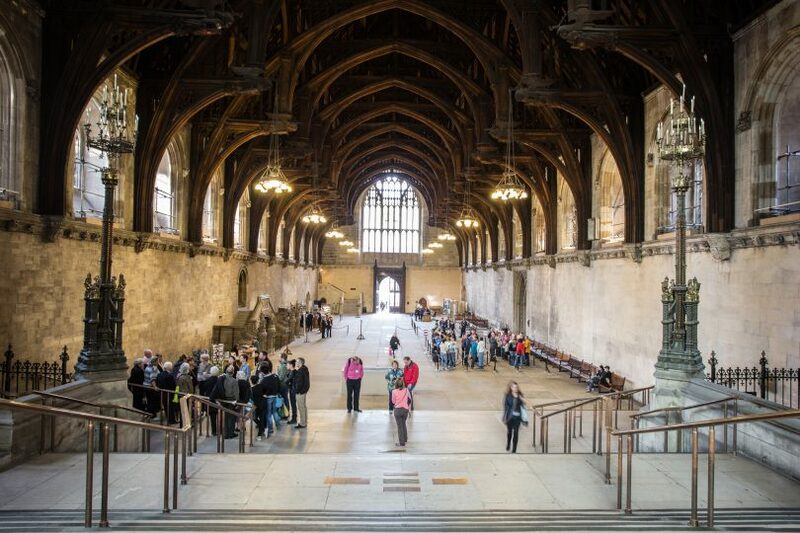 These are offered as an alternative to the established guided tours and some of the highlights include the Queen’s Robing Room, the Royal Gallery, Lords Chambers, Central Lobby, Members’ Lobby, Commons Chambers and Westminster Hall. Visitor Assistants are on hand all along the tour route to answer questions. 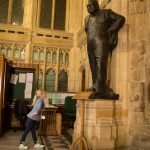 The family version of the audio tour, which is aimed at children aged 7 to 12, is available in English. 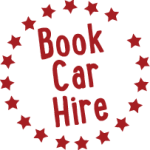 A normal audio tour is available in English, French, German, Italian, Spanish, Russian and Mandarin. 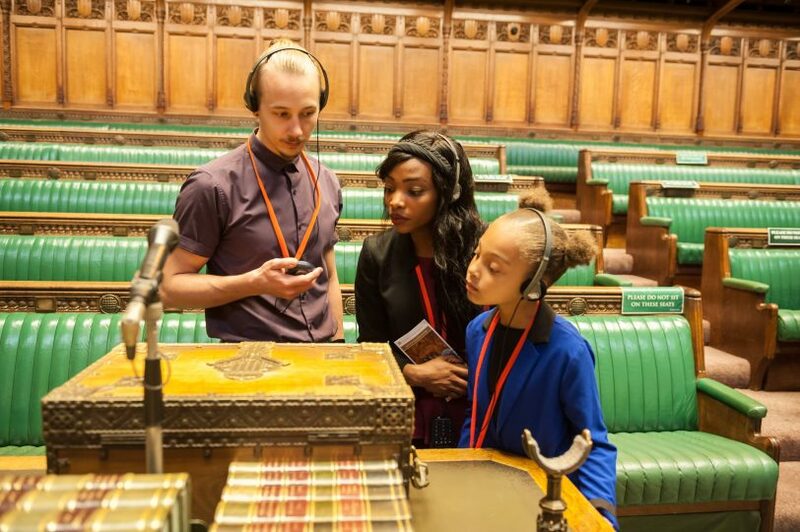 The commentary for the family version is extremely engaging and is set in the style of a ‘live’ news broadcast with reporters that travel through time and ‘report from the scene’ on stories that are connected to the Houses of Parliament. 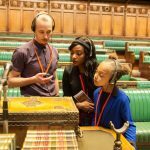 For visitors who may be deaf or have a loss of hearing, there is a screen-based version of the audio tour on offer in British Sign Language. 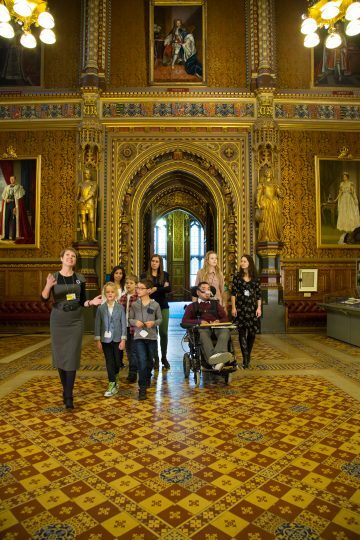 The exciting and educational tour that helps you to learn how Parliament came about is for everyone. 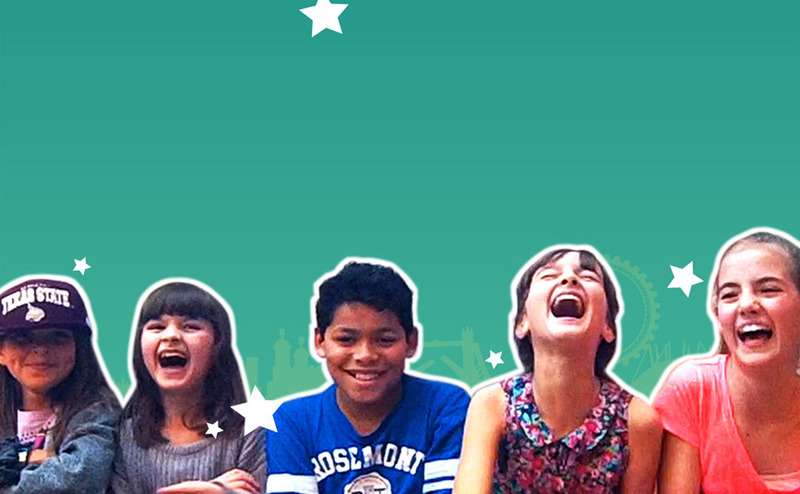 You’re only a stones throw away from Big Ben, the London Eye and the Southbank Centre. Audioführungen und geführte Rundgänge durch das Parlamentsgebäude finden ganzjährig an Samstagen statt, sowie an den meisten Wochentagen während Ferienperioden: wie z.B. 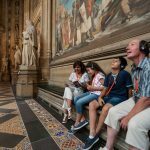 Oster-, Sommer- und Weihnachtsferien.Les tours guidés ou audios à l'intérieur des Houses of Parliament ont lieu les samedis durant toute l'année et habituellement la semaine pendant les périodes de vacances y compris Pâques, Noël et les congés d'été.Houses of Parliament audio and guided tours, including options available for children aged 7-12 years, take place on Saturdays throughout the year and on most weekdays during holiday periods including Easter, summer and Christmas. Afternoon tea tickets are also available and include a special afternoon tea for children.Las visitas guiadas y audio guiadas tienen lugar todos los sábados del año y en la mayoría de los días de semana durante las vacaciones de Semana Santa, el verano y Navidad. Las Casas del Parlamento siempre están cerradas los domingos. 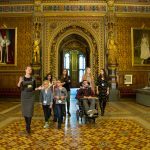 If you’ve ever taken a guided tour with kids you’ll know it’s hard to keep their attention (if they’re not at the front of the group) so these is a great, independent option. I always choose the family/kid audio tour at attractions as it usually explains things much more clearly (for tired parents) and then you also know what the kids are hearing. 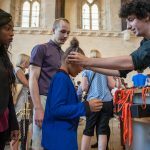 In a guided tour you need to keep the kids quiet for others to listen but this means you can discuss what you’re hearing. 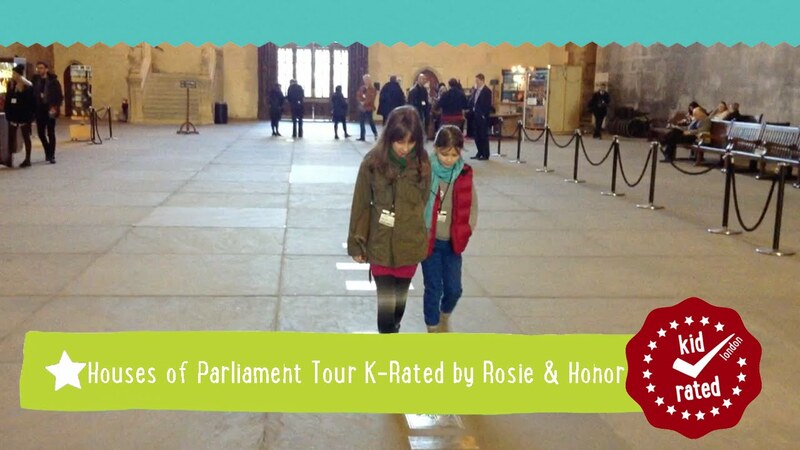 The audio tour is definitely ‘Horrible Histories influenced’ and has a fun quiz at the end. 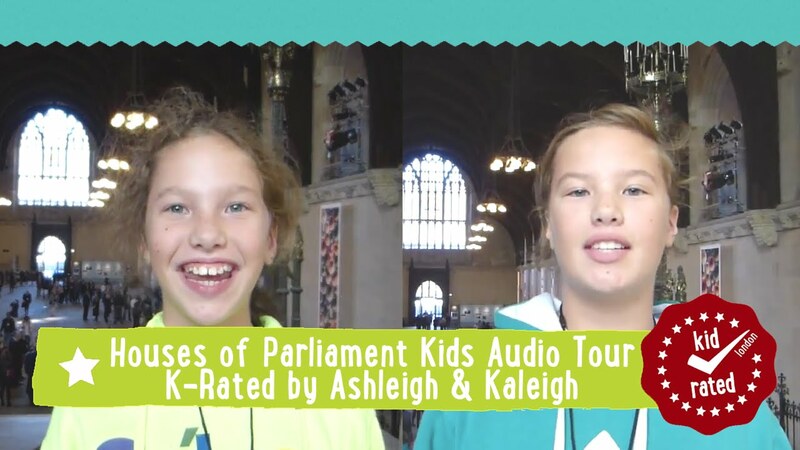 I took the audio tour with my two daughters aged 11 and 9 and we had a great time. 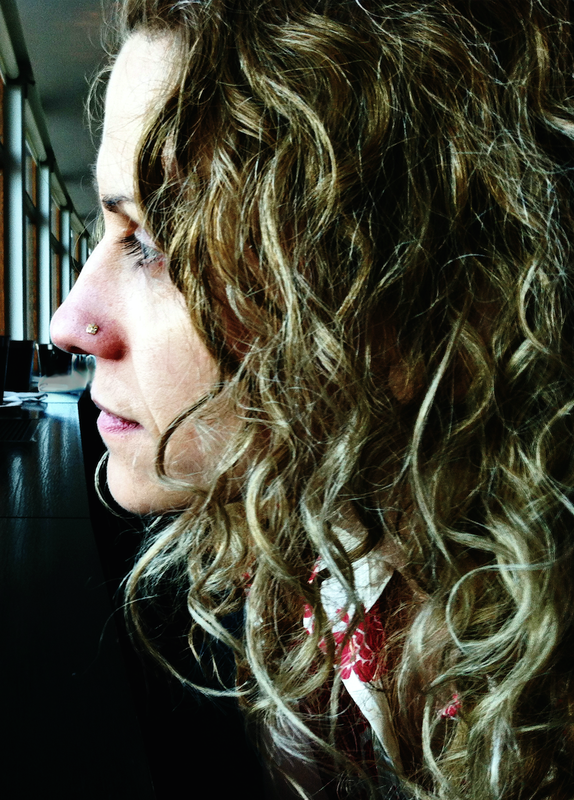 The girls were engaged throughout and could skip the bits that didn’t interest them. 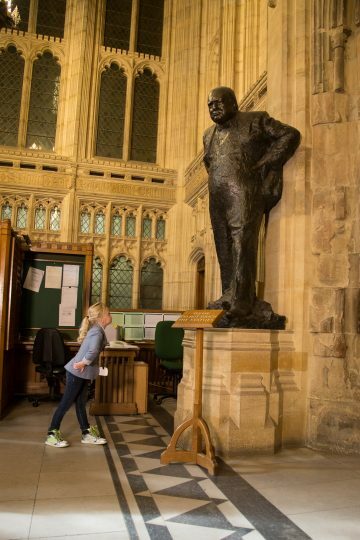 It’s a fascinating place with lots of British history the kids learn about at primary school.